In traveling around the Pacific Northwest, you have to go to Victoria, BC. We decided to make the trek before we moved away and see what it was all about. 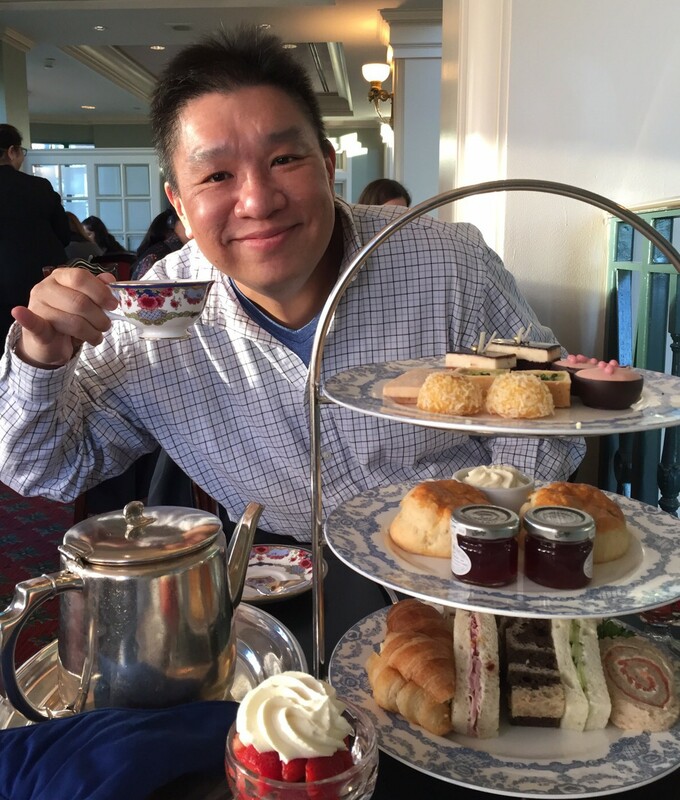 The place was beautiful, and one of the things that we wanted to do was go for High Tea at the Fairmont Empress. 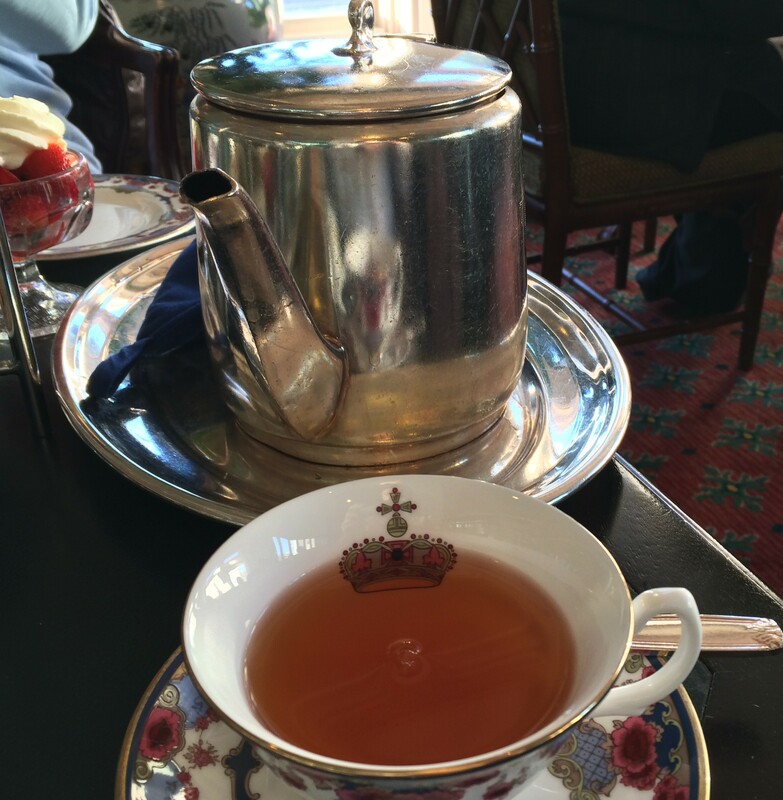 Labeled as an experience you must do in Victoria, High Tea was going to be on the schedule! Let’s take a look at our menu first. 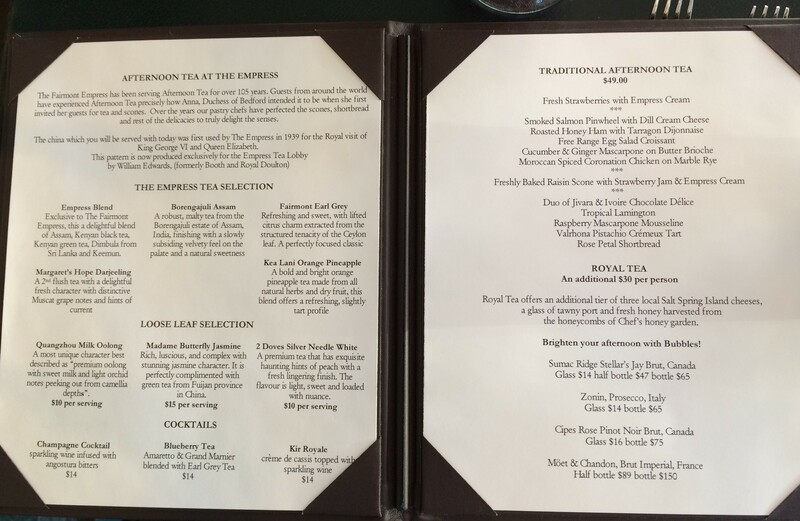 A wide selection of teas, plus a detailed menu. 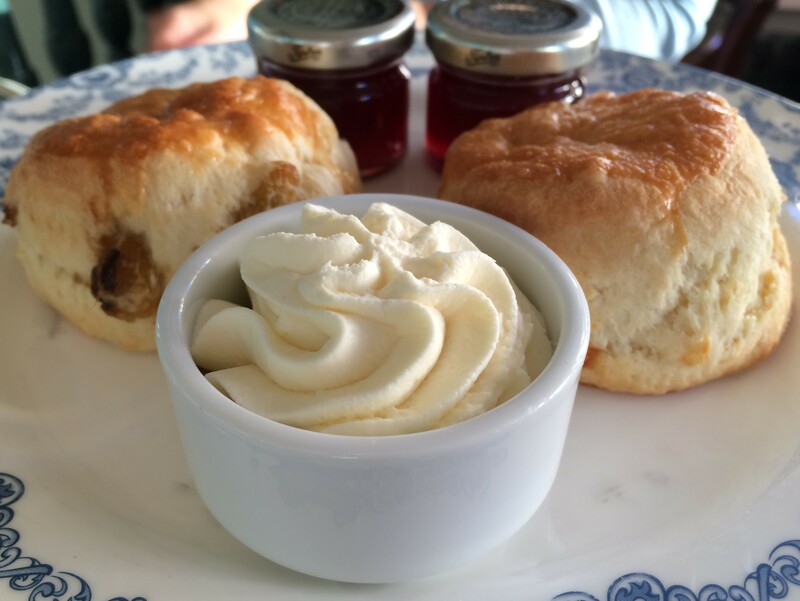 Traditional Afternoon Tea, here we come! 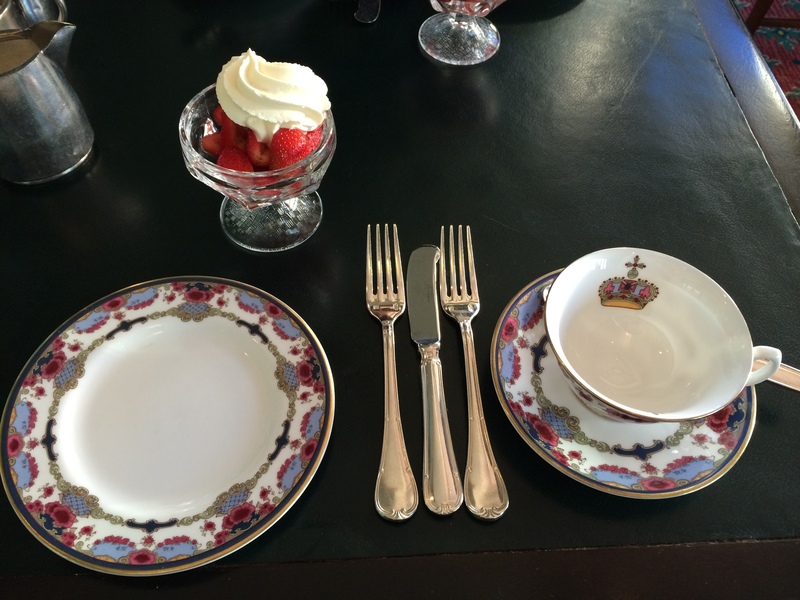 Our setting for the High Tea, and it comes with a starter of Strawberries and Cream. We decided to go for two different kinds of tea. The first was the Empress Blend, their own special blend of leaves. Very nice, with some good floral hints. Then we wanted something less traditional. So we went with 2 Doves Silver Needle White. 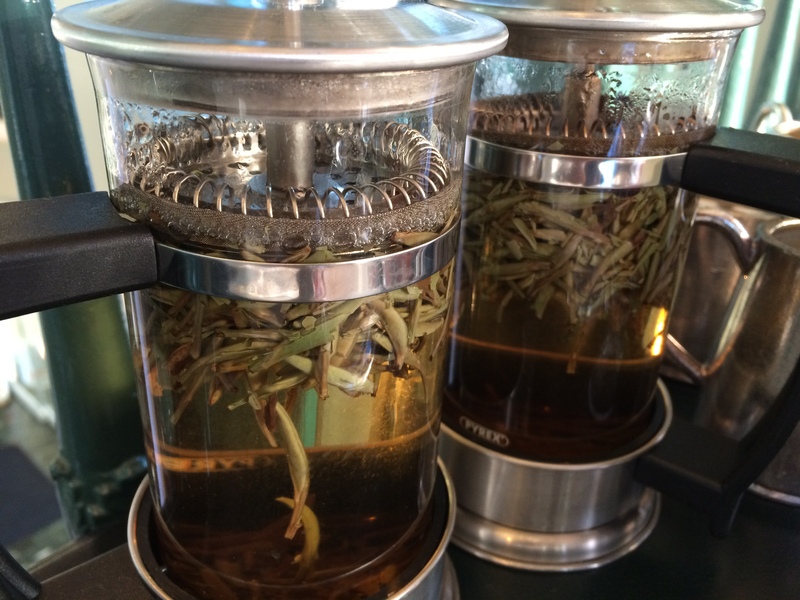 A nice blend of teas with some fruitiness, and a great character. And here we go! 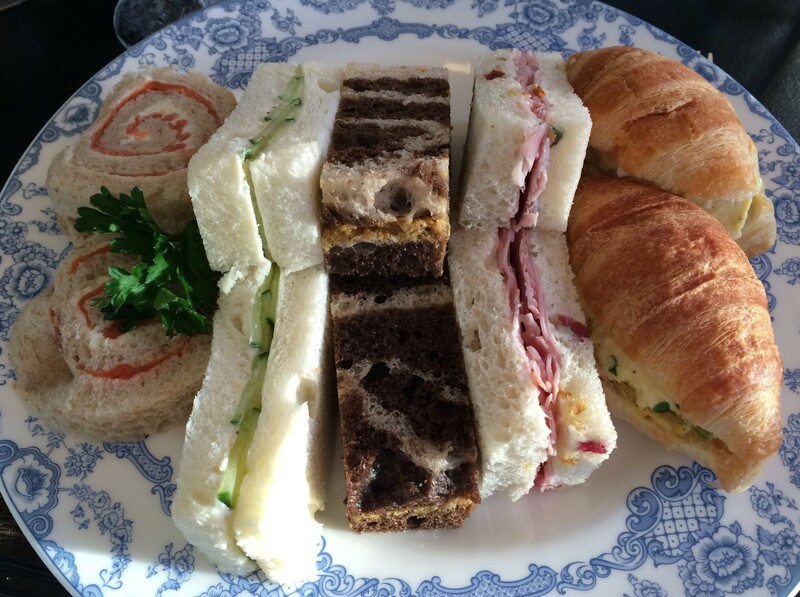 Three levels of High Tea! The top level is sweets. 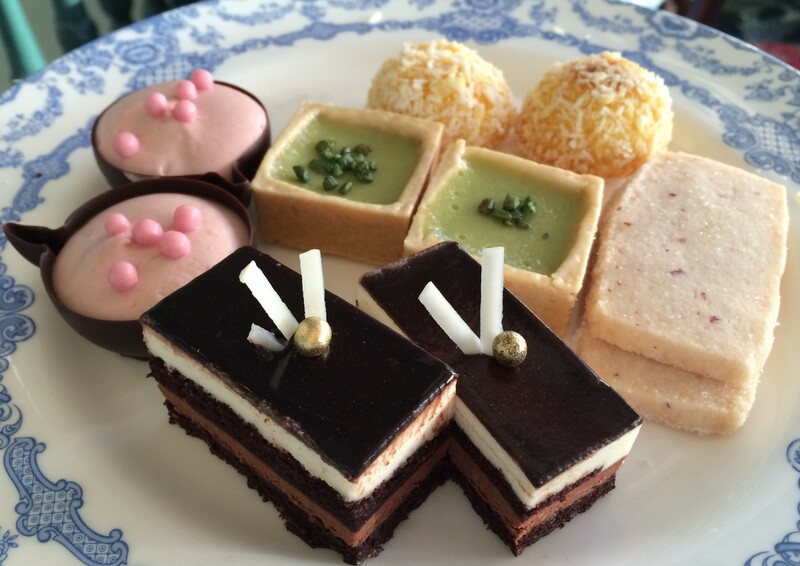 Chocolate Delice, Tropical Lamington, Raspberry Marscapone Mousseline, Pistachio Cremeux Tart and Rose Petal Shortbread. I really liked the Pistachio Tart here. 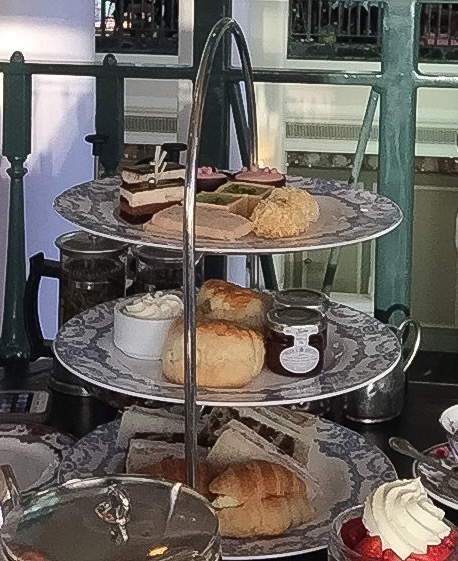 The middle layer is their famous Raisin Scones with Empress Cream and Strawberry Jam. Not too dry, fluffy and quite nice. And finger sandwiches too. Salmon Pinwheel with Dill Cream Cheese, Cucumber and Ginger Marscapone, Moroccan Spiced Chicken on Marbled Rye, Honey Ham with Tarragon Dijonnaise and Egg Salad Croissant. An enjoyable experience. The price is not so high, but the experience is one to have without a doubt! Posted in Canada, High TeaTagged Canada, High Tea, VictoriaBookmark the permalink.